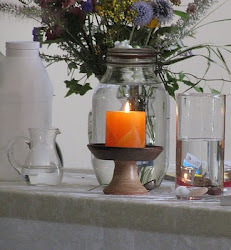 UU A Way Of Life: From whence does forgiveness come? From whence does forgiveness come? UUs covenant together to promote and affirm the inherent worth and dignity of every person, and justice, equity, and compassion in human relations. This is quite different from traditional beliefs of many religions especially Christianity which has taught that human beings are sinful and only acceptable to God because of Jesus death on the cross to atone for our sins. Carl was so full of shame for what he had done in his past that he thought he was unlovable. "What should I do?" he pleaded not so much to me but to life in general. He seemed inconsolable. My providing a shoulder to cry on seemed to make him feel better because he calmed down as he expressed his anguish. What does one do when one feels lost, when what has happened seems unrepairable, when the harm is so great nothing, it seems, can ever make things right again? 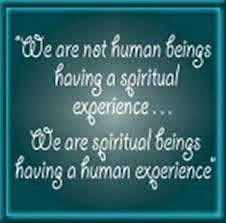 comes from a change in our minds, a change from the ego plane to the spiritual plane. 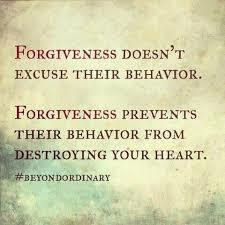 Forgiveness comes from the recognition, acknowledgement, and awareness that the drama on the ego plane has no effect on the spiritual well being of God and God's creations. This insight, this joining with the Love of God, disregards the drama of the ego plane and rises above it. Our anguish often brings us to the point of break through where we realize that our lives our unmanageable and we have to surrender to our Higher Power whatever we conceive our Higher Power to be. We move from darkness to light and we are filled with the hope that not only is salvation is possible but it is here right now and we can know it when we clear away the blocks and obstacles to our awareness of Love's presence which has never left us. We just got too caught up in our own ego drama to become aware of it. We realize we have been dreaming a really bad dream and we need to have awoken to a new reality which is God's love for us and our love for each other. Carl, in his desperation, finally admitted that all the judgmentalism he had been taught about himself and other people was not true. He, with great sadness, said that the game he had been taught to play in his church where he was told he was a sinner and going to hell unless he did this or that or the other thing not only wasn't true but nothing that Jesus actually taught. Jesus, rather, told us that His Father in heaven loves us abundantly, that is unconditionally. Jesus, taught, in so many words, that there is no drama in heaven. Heaven is a place of love wherein, as Jesus said, "love as I have loved." And so Carl had a growing sense of peace. Maybe the things he had been taught and thought were not true. Carl said to me, "I think I am losing my faith." I said, "It sounds like you are and you are sensing everlasting life." "How, therefore, to absolve oneself from this excessive sense of guilt? I do not say from a mere sense of guilt, that is being too romantic; but how to contain this sense of guilt within its proper compass. We have on the one side the pathway worn by centuries of religious pilgrims who have undertaken through rites and creeds to load onto shoulders stronger than theirs burdens which they could no longer carry. We have in modern times the psychoanalytic couch. Neither of these is available to all men and women in our generation who must carry the weight of the world's causation upon their own shoulders. What are we to do? Is there a philosophy of life that when one has contained it will give him a curative sense of perspectives? I do not doubt but that there is. While this is not the occasion to present the remedial philosophy of life, let me call your attention to two attitudes, either one of which can enormously lighten the load of sensitive men and women whose chronic pablum is to feed upon the woes of other men and women. In the first place, this philosophy of life of which I speak would be characterized by a very robust sense of humor; and second, this philosophy of life would be characterized by what I may call "piety," in the old Roman sense of the term; identity with the world in which one lives, with the natural world and with the social world, in such fashion that one has perspective upon the world and does not feel himself to be alone. As a matter of fact, humor and piety are much closer together than most people think. Both of them are effective ways of getting perspective in terms of which we can recover our balance when the world or its tasks prove too much for us." 2. Keep the faith in God's unconditional love for God's creation. I have been where Carl is and I lost my faith and gained a whole new awareness of life. Since then, my life has been filled with gratitude and peace. I love this article. It has taken me years to overcome my Catholic guilt. I am what they call a "recovering Catholic." People usually laugh when this is said because there is a silent recognition of the damage that has been perpetrated, probably well meaning, but nonetheless self serving, by the church. Awakening to another way through Unitarian Universalism has been like a breath of fresh air. Thank you so much for this blog. I always look forward to the articles.